Spokane Towing Services - Pacific Towing & Recovery, LLC. Express towing services Spokane, Washington. Pacific Towing & Recovery has you covered! Fill out our online services quote form now! We are here to help you! Pacific Towing provides services throughout Eastern Washington and North Idaho. Pacific Towing & Recovery offers express roadside assistance in and around Spokane, Washington. Our professional towing team provides great rates and fast & friendly service. After we tow your vehicle, Pacific Towing & Recovery also offers vehicle repair services. 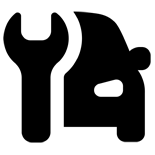 Our skilled mechanics can get your automobile back on the road again. After we have towed and repaired your vehicle, we can deliver your car right to you. We provide full service car transport and can deliver 24/7. Emergency Roadside Assistance. Vehicle Lockout Help. Express Recovery. Spokane, Spokane Valley, Millwood, Airway Heights, Mead, Deer Park, Elk, Town and Country, Country Homes, Downtown Spokane, Post Falls give us a call. Our experienced mechanics are standing by ready to help to help you. When you need more than a tow, we can help you get your vehicle up and running, again. We provide a variety of towing, transportation and vehicle repair services. Looking for a tow truck near me? We’ve got you covered in and around Spokane, WA. Long distance tow? Give us a call and will get you scheduled. Recovery services to get you out of those sticky situations. Auto repair services in Spokane, Washington. Need help getting back into your vehicle? Pacific Towing & Recovery has you covered. Tow Truck Service Spokane, Washington. Airplane/Air Craft transport service in and around, to and from Spokane, Washington. Pacific Towing offers professional boat transport services. Small building movers Spokane, Washington. We provide flat bed building moving services.